Luxury bath, body, and home brand, Rituals quickly became a successful global business. How? By prioritizing their customer experience and launching Speakap which has allowed the company to get much closer to their global staff and improve their productivity and retention. Lifestyle brand, Rituals launched in 2000 and is one of the fastest growing companies in the Netherlands. Its philosophy is focused on turning everyday routine and moments into meaningful rituals. With rapid expansion around the globe, consistent brand experience both internally with employees and externally with customers became crucial. The global retailer calls their employees “heart beats” and recognizes them as the ultimate extension of the brand. How to effectively inspire, inform, educate and incentivise the staff became the number one question for the business. With so many employees and locations around the world sharing information, learnings and insights between the store staff and office staff became a challenge. Intranet just wasn’t an option. Rituals is known for its cutting-edge initiatives, such as going completely paperless by 2020, and they needed an effective and instant communication tool that their staff could get up to speed with quickly, and seamlessly integrate into their business. 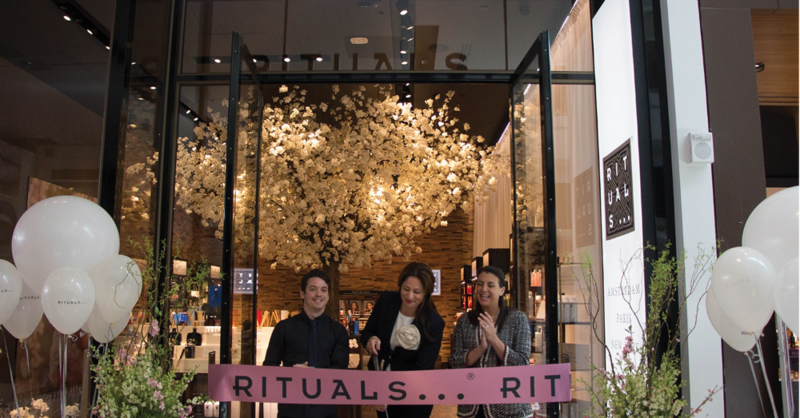 Rituals was looking for a solution that can grow with the business, a solution that allows instant and consistent communication between store staff and office staff. After careful consideration, the global retailer decided to move forward with Speakap. Speakap was easy to implement and simplified communication and processes instantly. Head office and floor staff are now able to share updates such as product information, tips and tricks, instructions, feedback, standards of performance, as well as key results and sales incentives in a matter of seconds. This was especially helpful in a sudden crisis situation, when cash registers (tills) stopped working globally for a few hours. The Global IT Director used Speakap to inform the managers at the affected stores immediately about the problem and kept the store managers updated on the progress. This way, they were able to inform the store associates instantly and they could better manage their customers’ expectations. Prior to Speakap the Global IT Manager would have to call all Managing Directors, who would then need to call all Retail Directors, who would then need to call all Area Managers, and so on. Rituals would have lost a tremendous amount of time coordinating this effort but with Speakap they were able to act quickly and keep everybody informed in seconds. Before Speakap, Rituals never had the ability to deliver key messages and updates to all employees worldwide so seamlessly. “We serve the most demanding consumers in the world, so education and training of our employees is key. We use Speakap to share principles, instructions, feedback learnings and standards of performance. It drives the team productivity and enhances the overall customer service.” Stephanie Nickens, Senior Shop Manager, Rituals US. Have a look amongst our other client case studies, to discover how we provided the perfect solution for their needs. So, what’s in it for you and your company? Use our ROI calculator to discover your Return On Investment. Does your problem seem unique? Not to worry. Schedule a demo to talk to one of our specialists about your specific needs and problems.